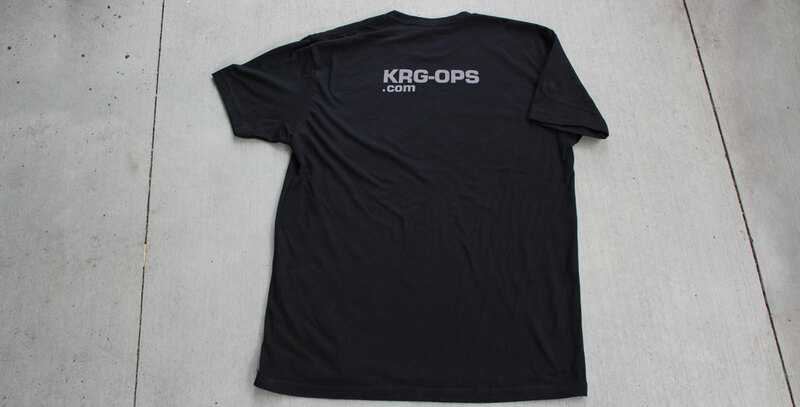 The Low Viz shirt is what you want to wear when you aren't looking to boldly pronounce your firearms affinity through your wardrobe. 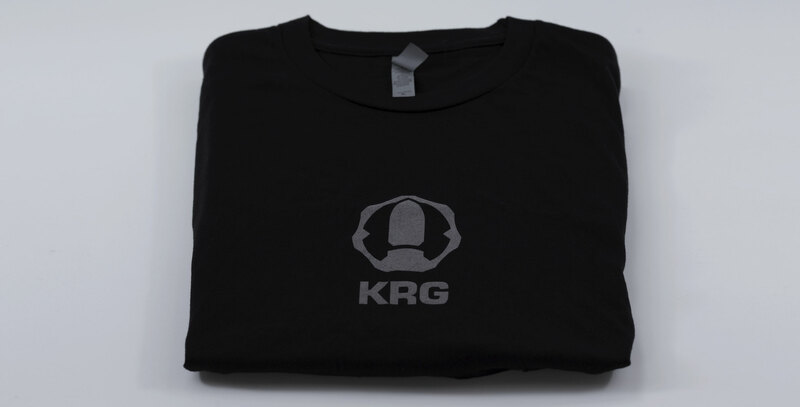 This is a fine, soft Next Level brand shirt in a 60/40 Cotton/Poly blend that's form fitting without being tight like your little brother's shirt. 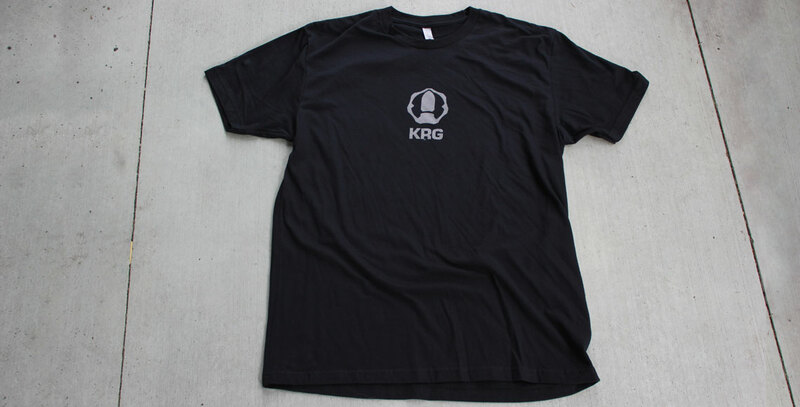 It is black with the KRG logo on the front in light grey and website on the back in the same manner.